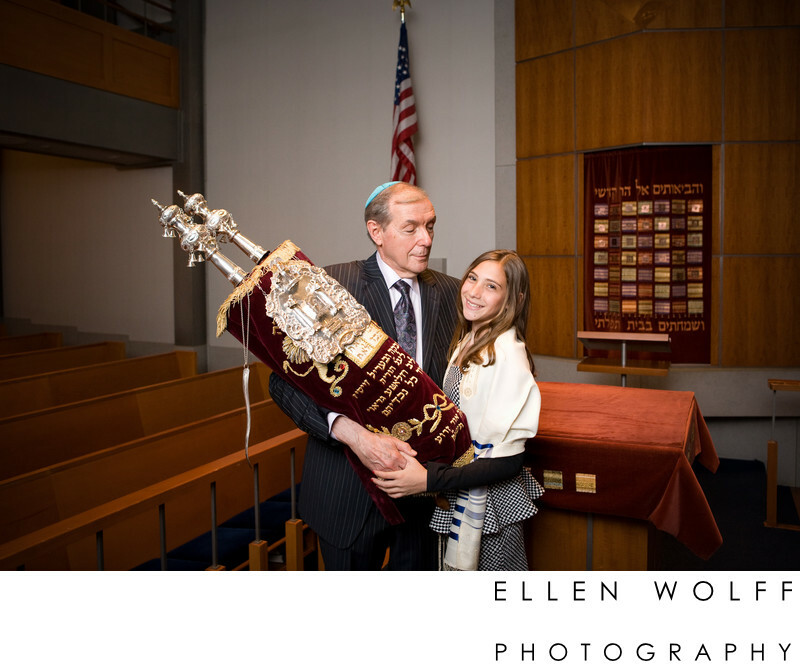 When it comes to capturing family portraits during a Bar or Bat Mitzvah we know from experience how important certain moments are. I especially look out for interactions with the grandparents. This photograph is so powerful because of the way he looks at her, and she in turn adores him. You can tell. I always want to do my best to ensure I document these moments in the most loving way i possibly can. Location: Congregation Or Zarua, 127 E 82nd St, New York, NY 10028. Keywords: Bat Mitzvah (96), Portrait (39), torah (3).